Summer season is the one everyone looks forward to as it is amazing to stay outdoors and to enjoy fresh air and sunlight. To have or to achieve the bedroom decor with a summer feel, it’s good to strive for a feeling of bright airiness. Floral wallpapers, bedding, curtains, and also the natural plants and flowers are the easiest and the first step in the summer bedroom decor. Feeling of space in a small room can be created by painting the walls as white along with bedding in stripes for a coastal theme. Bright colors are the fantastic way to bring summer into the bedroom whereas pastel tones add a relaxed shabby feel to the bedroom which is perfect for a summer’s day. 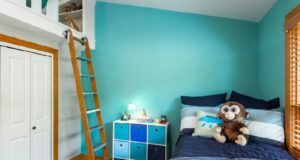 Colors such as ice cream shades of mint green, pastel pink will work perfectly for cushions, pillow covers as well as wall colors. Many other ways can be opted to decorate the room for summer season. For the summer season touch in the bedroom, one should be inspired be the seaside or the coastal colors. A classic blue or red will work great when combined with a coastal white in the bedroom. 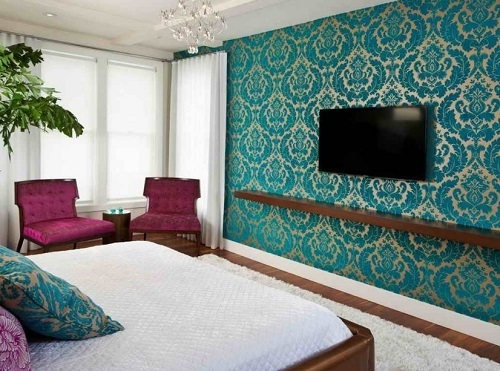 Brightly colored patterned wallpaper creates a summery feel in the bedroom. 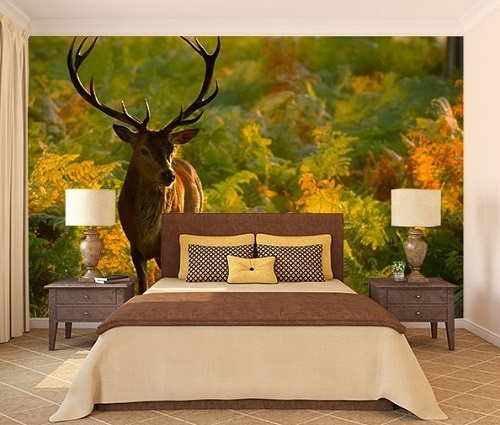 Woodland photo wallpaper will create a dreamy woodland-inspired bedroom or a bird patterned wallpaper can also be opted to showcase the bursting summery goodness. Dark wooden furniture adds structure to the light-filled room whereas white painted wooden flooring with white shutters creates a colonial feel. Change the curtains for the light sheer ones. 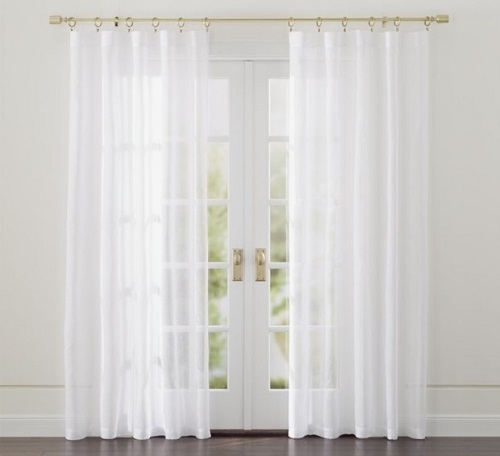 Soft shades should be opted while choosing the curtains, cushions as they create a restful summery feel. 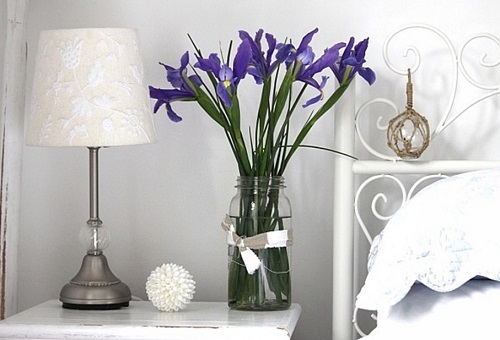 Add some fresh flowers into the room as they bring new energy into the air. Also, addition of simple decorative pattern of flower stickers onto white walls is an effective way of introducing floral. A vibrant patchwork bedspread along with floral bed linen and colorful walls will create a boho look, whereas ceramic accessories along with a vintage lamp will add interest to the scheme. Pom-Pom lampshades have always been extremely cute. This is another way for adding some bright and summery style to the bedroom. 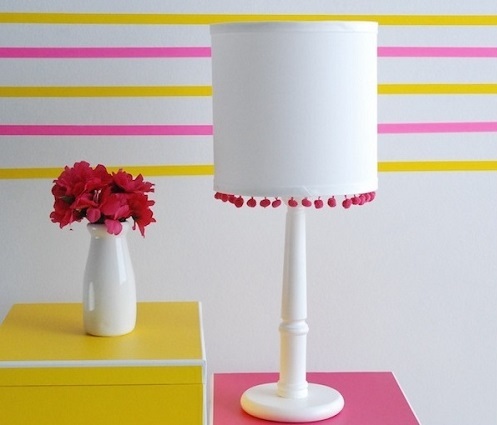 It is super easy to make too as some pom-pom trim can be added to the existing drum lampshade. 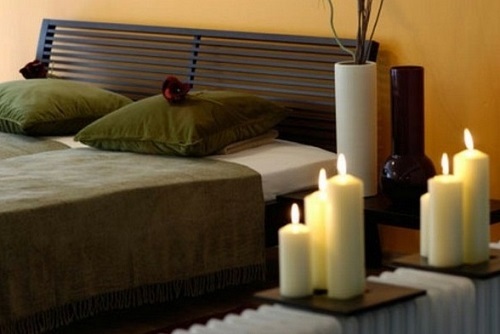 Instant hit of nature to the bedroom can be introduced by adding sweet scented candles that will arouse the senses, it can be a beach scent or a light floral scent. If the headboard is a dark wood, then it can be lighten up by painting it a light creamy color. The lighter color will compliment the summer bedding. Storage Cupboard can be turned into a coastal inspired cupboard. It should be a glass fronted wardrobe which will be perfect for displaying some of the favorite pieces of the coastal areas. Bedroom should have an attached veranda along with it as the doors can be flung open onto the veranda for the fresh sea breeze fluttering in.